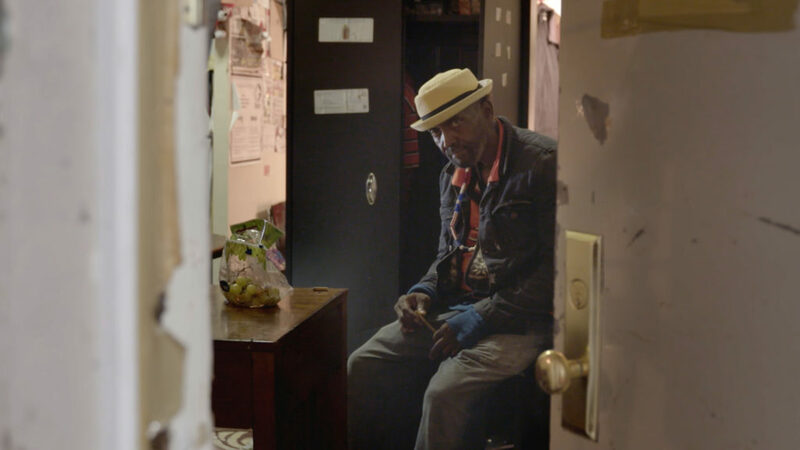 A still of Abraham Clemente, who moved out of an adult home into his own apartment. The National Alliance on Mental Illness has asked U.S. District Judge Nicholas Garaufis to make “adjustments and modifications” to an ambitious plan to move mentally ill New Yorkers from troubled group homes into their own apartments, in a letter citing an investigation by ProPublica and FRONTLINE. In 2014, Garaufis issued an order to move as many as 4,000 people out of adult homes — group living arrangements where mentally ill people were found to have suffered neglect and financial exploitation at the hands of home operators. ProPublica and FRONTLINE spent more than a year examining the proposed alternative, known as supported housing — independent apartments where adult home residents were expected to live on their own with minimal support from social service agencies. We found that some of the most vulnerable people who made the transition slipped through the cracks, including six whose deaths raised questions and two dozen more who were not able to care for themselves, ending up in unsafe or inhumane living conditions. We showcased the journey of Nestor Bunch, who was hospitalized multiple times and beaten nearly to death while in supported housing. The letter, signed by NAMI Chief Executive Officer Mary Giliberti and the two top New York-based officials for the organization, points out that while many people do well in supported housing, the transition can be extremely difficult for others. This is because many adult home residents either have little experience living on their own or lost some of their ability to do so after years of reliance on adult home staff and have not been prepared to make the shift, the letter said. “It is unrealistic to expect that all class members can live safely in unsupervised scattered-site apartments, even if that is their stated preference,” the authors wrote. The letter echoed several more findings in the ProPublica and FRONTLINE story, which was published in The New York Times, including that the state did not initially have a system to track the welfare of people who made the shift into supported housing; that families had struggled to obtain details of deaths and other serious adverse incidents that affected their loved ones; and that workers are often undercompensated and undertrained. The letter also said that the assessments of people who want to move out of adult homes should be improved and that the state should consider housing options that offer more supervision. Garaufis, who is now in his 16th year presiding over this litigation, has not responded to NAMI, which is not a party in the litigation. He declined to comment for this story. But he has already called for an independent report to investigate some of the problems exposed by ProPublica and FRONTLINE. The day ProPublica and FRONTLINE published their first story, Garaufis asked court monitor Clarence Sundram to examine the effectiveness of the state’s new system to report and investigate incidents in which supported housing residents have come to harm. He also got the state to promise a review of its service-coordination program and suggested the state do more to help residents learn and practice basic skills they will need to live on their own. The report is due on Jan. 31. But the office disputed the idea that adult home residents are not receiving adequate assessments prior to leaving these facilities. It said that everyone receives an extensive assessment and a detailed, personalized plan of care. FRONTLINE and ProPublica investigate where New York fails those with serious mental illness in a documentary coming soon to PBS. Cash Bail Yields A New Casualty A Texas jail suicide involving a woman who couldn’t make bail in a shoplifting case highlights of the plight of pretrial detainees with mental illness.